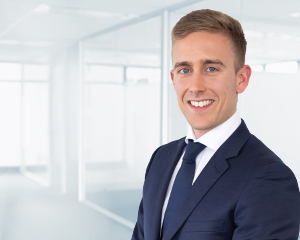 Matthew supports clients in constructing a portfolio of investments which is well positioned to meet their primary wealth management objectives. As a wealth adviser, Matthew understands that every client’s situation is unique. He believes a client’s investments should be aligned to their risk profile and make sense for them at a personal level. “In an ever-changing and complex investment environment, regular contact with clients allows me to ensure that they have an intimate understanding of each investment, and why they are suitable for their needs. I am particularly interested in helping clients build a portfolio which offers diversification, to potentially balance out returns and build long-term wealth,” he said. Prior to working at Dixon Advisory, Matthew was a graduate accountant at Hayes Knight, and also worked part-time at a boutique financial services company. Matthew has a Bachelor of Commerce with a major in Finance from the University of Wollongong and a Diploma of Financial Planning. He is also accredited with the Stockbrokers Association of Australia to provide advice on securities and managed investments.